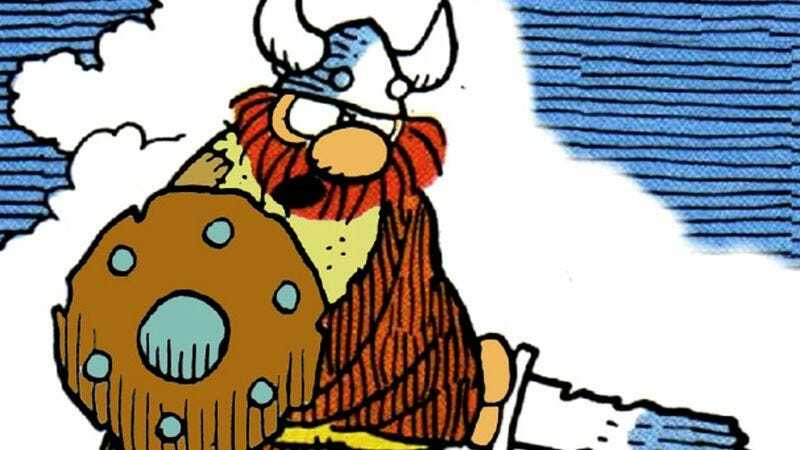 SIOUX FALLS, SD—Hägar The Horrible cartoonist Chris Browne admitted Thursday that he was disappointed with the lack of attention his syndicated comic received on its 40th anniversary. “It’s not like I was expecting to be on the cover of TIME or anything—but would a little feature in USA Today with a headline like ‘America’s Favorite Viking Turns 40’ have killed anyone?” said Browne, who has been writing and illustrating the strip since the retirement of his father, Dik Browne, who created it in 1973. “Or maybe Google could have had Snert the dog barking out their logo. I don’t know. Something.” Browne said he plans to get “plenty of coverage” for the 41st anniversary by penning a storyline in which Hägar returns home to find his village burned and his family raped and murdered.